A new season is the perfect time to change up your home decor giving it a new and fresh look that’s perfect for the upcoming season. Since fall is here and ready to share it’s natural beauty, amazing colors and charm it’s the perfect time to decorate your home with fall decor. It’ll certainly cozy things up making your home an inviting and pleasant place to be. Fall decor is best known for warm natural colors and hues combined with all kinds of different textures, dry leaves and flowers, pumpkins and of course lovely candles. You can also add wonderful warming light fixtures along with cozy pillows and blankets. Fall wreaths and centerpieces are also a fantastic way to embellish your autumn decor. 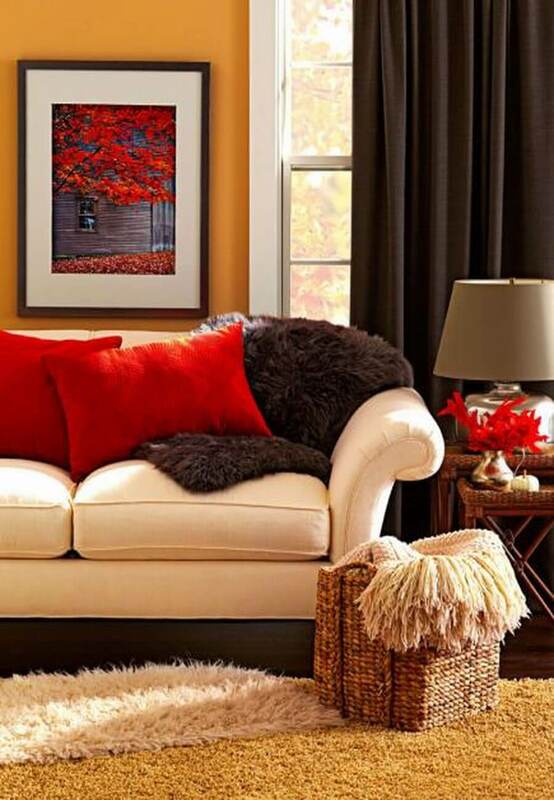 If you’re looking to warm up your home in a nice and affordable way check out these excellent tips on how to decorate your home for fall and start the fun. Read on and enjoy this gorgeous season! When changing the decor of your whole house you should definitely start with the front porch. This spot is visible to pretty much everyone. 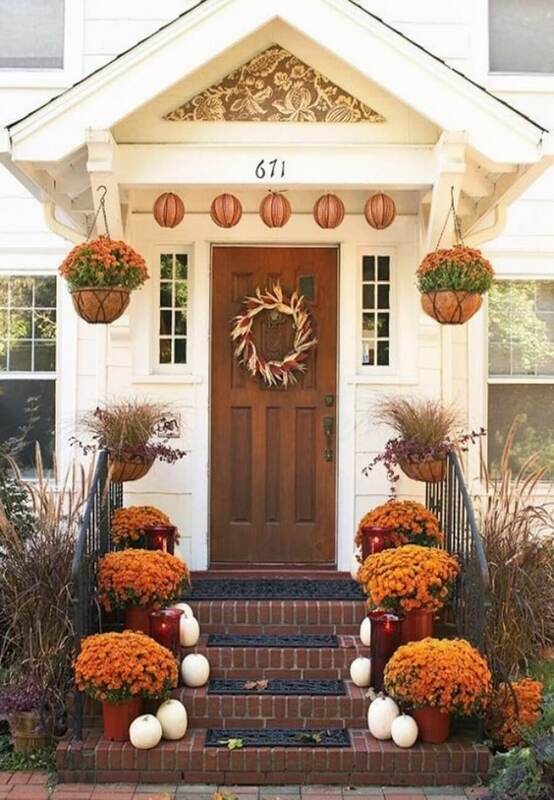 It’s a very easy place to add autumn flowers, pumpkins, a wreath to your front door and some warm earth color decor to make your entrance more cozy and welcoming. Adding more layers of rugs, throws and cozy blankets is a super easy to warm up your indoor spaces making them look very warm, inviting and super comfortable. Autumn means shorter days with less light and earlier evenings. Therefore you definitely should add more lights to light up your space. Try using all kinds of different lights. 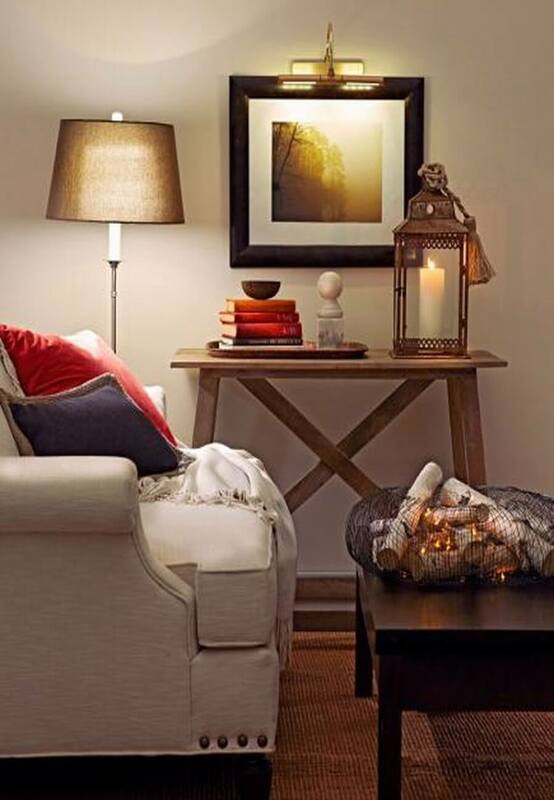 Some soft, some natural and mix them up for an instant cozy and inviting ambiance. There is nothing greater than snuggling in front of a warm fireplace on a cold autumn day, enjoying a warm cup of tea and perhaps a good book. 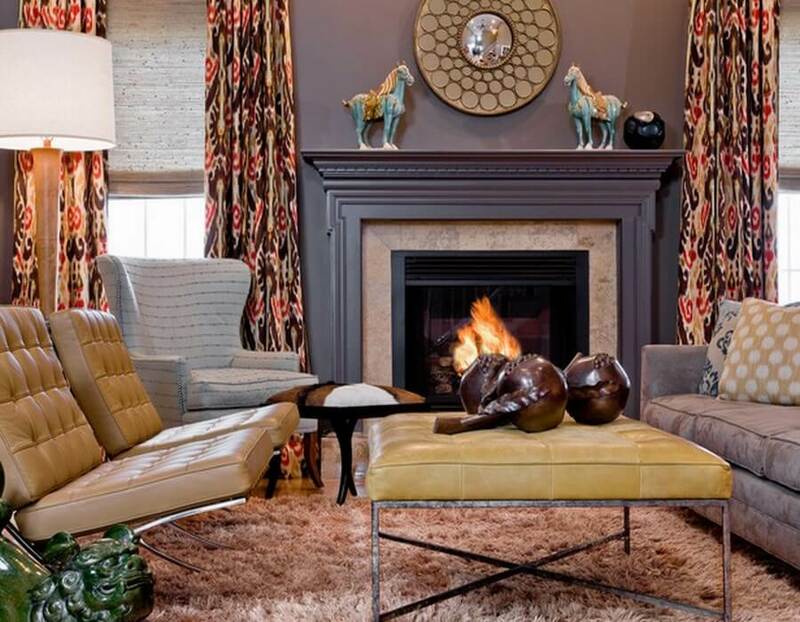 Invest in a fireplace in your home to create the most wonderful warm autumn ambiance. 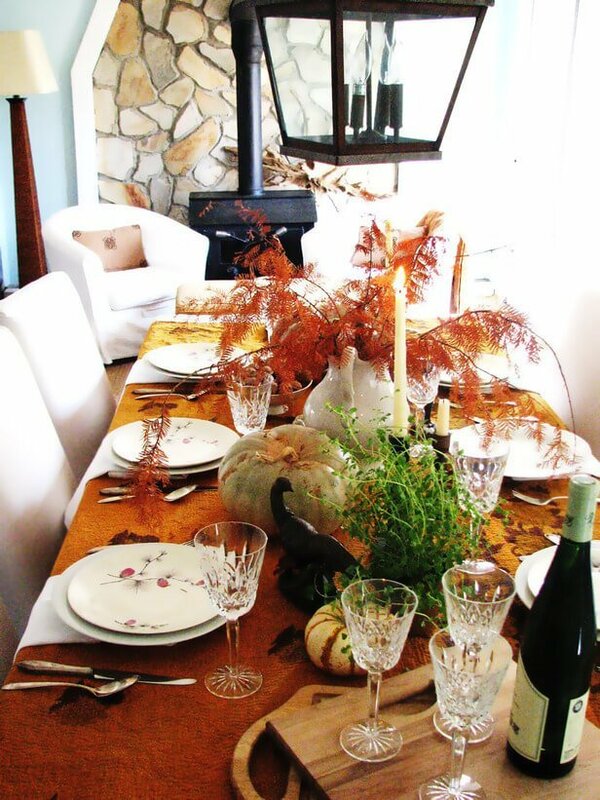 Your dining table will look gorgeous and inviting if you take the time to decorate it in a warm autumn spirit. It’s super easy to do too. 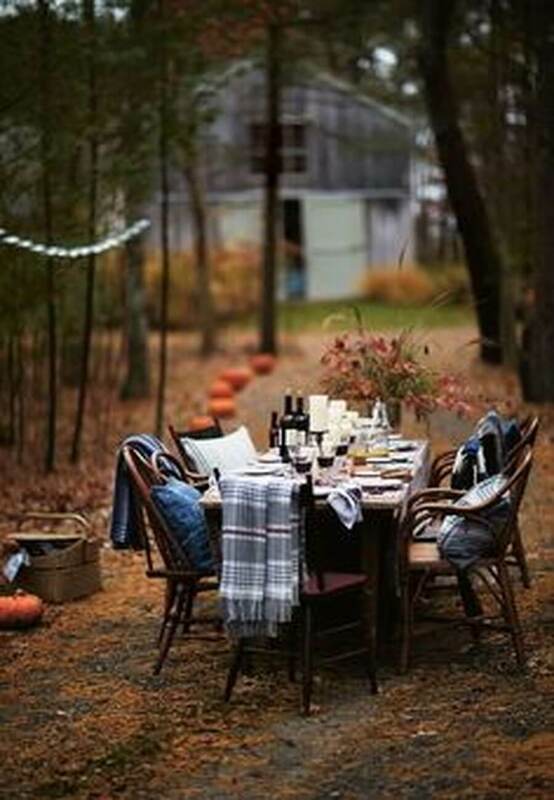 Just add some fall-themed table clothes, candles, pumpkins and fall plants. 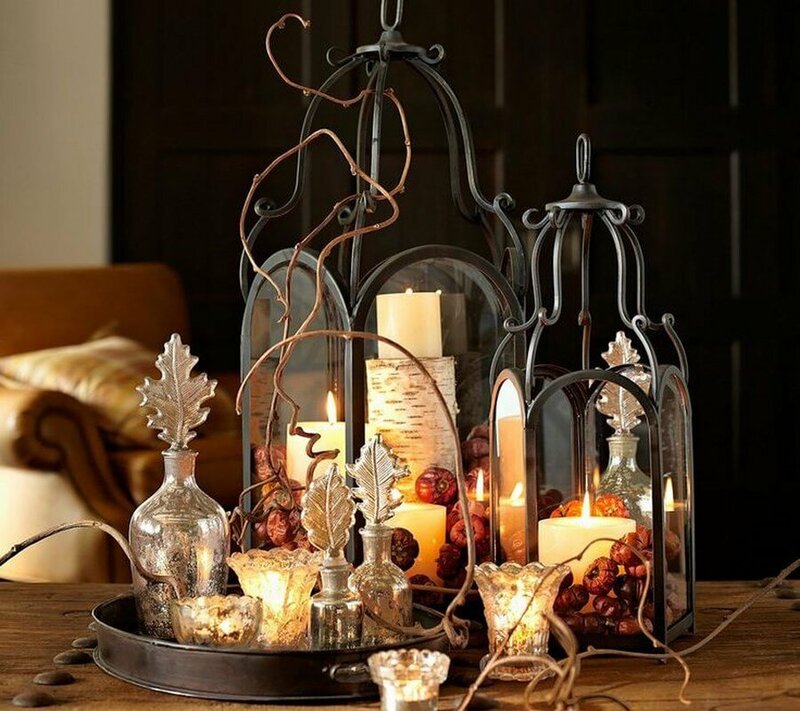 Lanterns with candles, autumn dry nuts, fall leaves and many other warm and appealing natural decoration pieces will definitely embellish your home in an easy and affordable way. Your options here are literally endless so don’t be afraid to experiment and let your own personal style shine through! Don’t forget to decorate the exterior of your home as well. Your yard can look cozy and comfortable too, especially if you include warm and thick blankets and decorate it with nice and natural fall decorative pieces. This way you’ll be able to enjoy the season both indoors and outdoors!